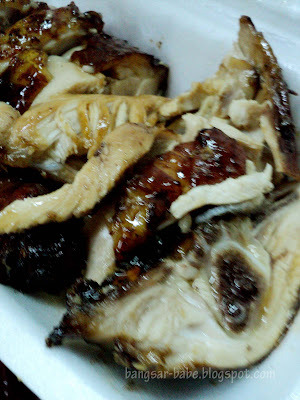 An Ipoh friend told me about this awesome honey chicken in Menglembu, and that I have to get there by 8pm, or else, there won’t be any left. Since we were in Ipoh, I insisted that we look for it. Menglembu is about a 15 minutes drive from Ipoh Town. A few wrong turns and 20 minutes later, we were in front of the honey chicken stall. There was a long queue, but I squeezed into the crowd and quickly ordered two honey chicken legs (RM5.20 each), three fried chicken thighs (RM2.50 each) and two paper wrapped chicken (RM2.50 each). The man packed my orders so fast, I didn’t manage to get a good picture. Sorry for the blurry shot! They also sell fried chicken innards, chicken skin, fries and fish balls, but I was too keen on the honey chicken to bother. 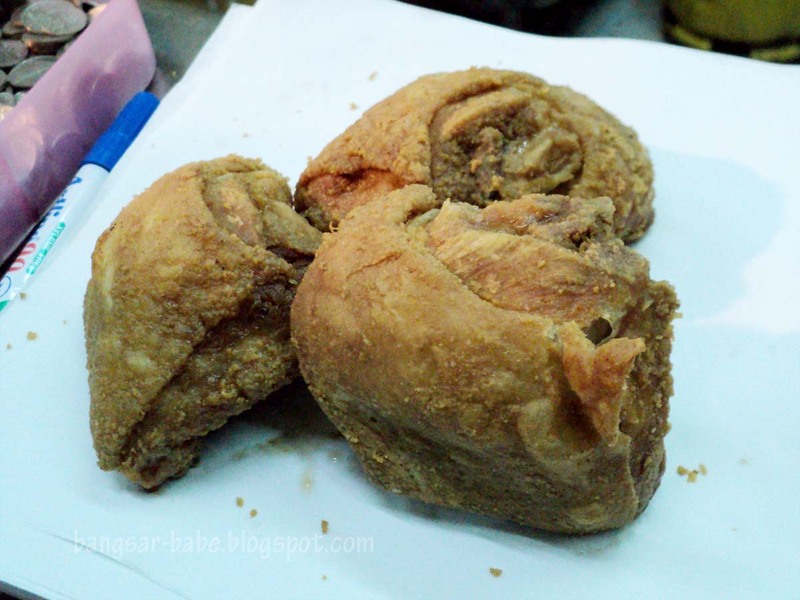 Honey Chicken Leg – pardon the blurry photo! The honey chicken was delicious. Juicy and tender, I relished the sticky honey bits on the chicken. It tasted even better when I ate it with the caramelised honey sauce it came with. Fried chicken was also quite good, but it wasn’t anything special. I liked the seasoning they used on the chicken. It was slightly garlicky, peppery and spicy. The paper wrapped chicken didn’t impress me — I’ve had better. The chicken lacked seasoning, and I found it a bit dry. I enjoyed the honey chicken, and so did rif. We’d definitely go back there for more! Verdict: Stick to what they do best – Honey Chicken! Still one of the best chicken…. I like. but where lah I'm going to buy honey chicken? Nice find! Haven't tried the honey chicken here before, but from your pictures, I'm more interested in the fried chicken thigh! LOL! They looked so cute like pillows! 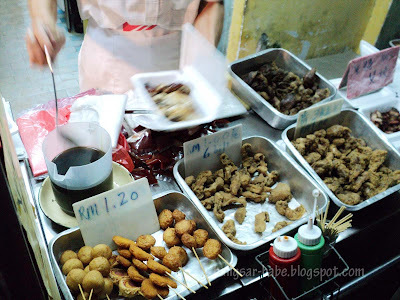 Yeahloh, one of the most famous street eats in Menglembu. The whole stretch of wai sek kai also is famous with the Ipoh crowd. But a little far from my place. 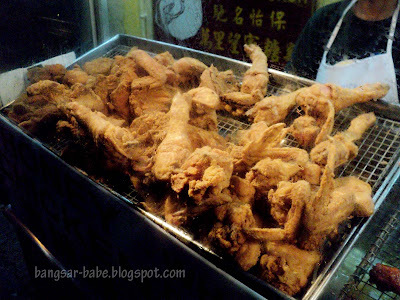 I kinda like the fried chicken, this type in particular. Very traditional, like Winner's or Poh Lee's. honey chicken? next time i must print all these out when i go to ipoh! OMG! U really hungry ghost…haha but u still looks thin… NOT FAIR!!!!!! Yummilicious, slurp slurp … so you do eat other stuff, besides porky stuff 🙂 OOOooops, or was that me!? Great meeting up recently, cheers! Hi. I am from Ipoh but working in KL. honey chicken made better than theirs. There used to be a Wantan Mee stall opposite which is very crunch and tasty. But that of course is based on my own taste buds.